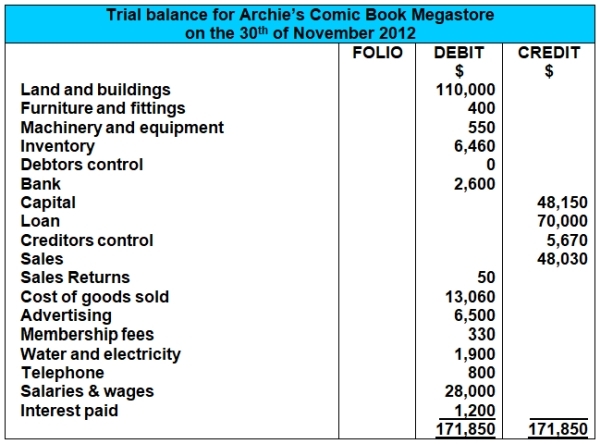 What is the trial balance? What does it look like? In this lesson we'll learn exactly what it is and how to prepare one. The trial balance is an accounting report or worksheet, mostly for internal use, listing each of the accounts from the general ledger together with their closing balances (debit or credit balance). The trial balance sums up all the debit balances in one column and all the credit balances in another column. The totals of each column should agree in value. 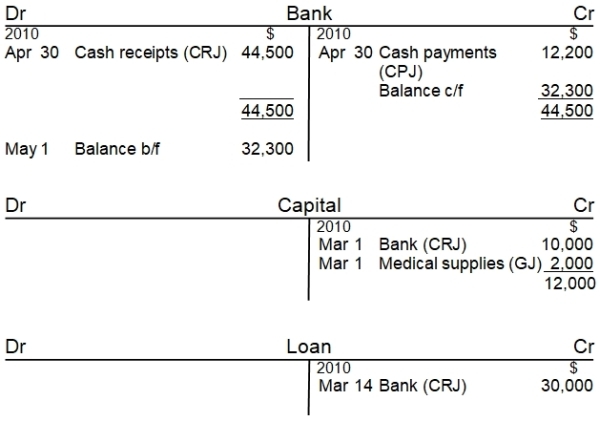 The trial balance is our penultimate step in the accounting cycle (the final step is the financial statements). The financial statements are the most important reports of a business. Due to their importance, we do a final check before preparing the financial statements. This final check is done with the trial balance. A trial is a test. 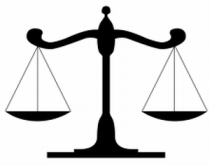 Thus this step is literally a test of balances. But what balances are we talking about? The trial balance is drawn up to check for any mathematical errors that may have occurred during the earlier stages of the accounting cycle - during the recording of the journal entries and their posting to the various accounts. The trial balance is usually prepared on an annual basis, in line with (and just before) the financial statements. However, it can be prepared on a more frequent basis, depending on the needs of the business. 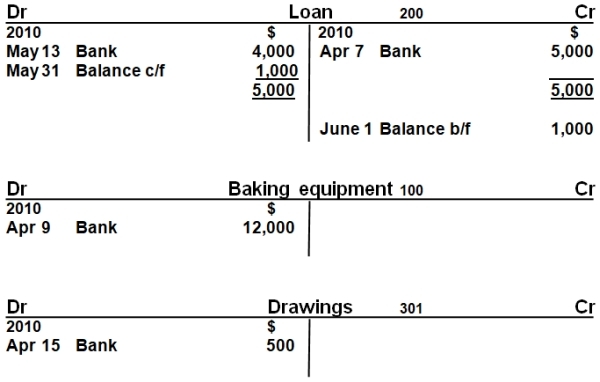 The trial balance has a simple format. We list all the accounts from the general ledger on the left-hand side. On the right-side of the report we show two columns, a column for debits and a column for credits. 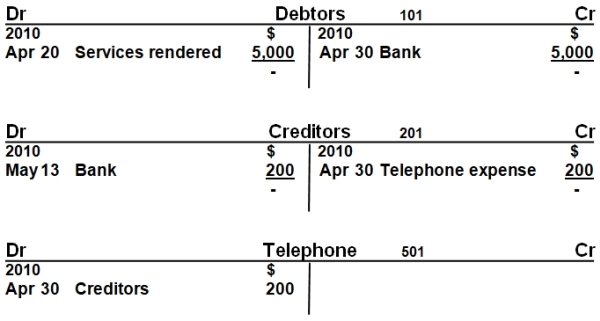 At the bottom of each of the debit and credit columns are the totals. An additional column showing the folio or code of each general ledger account can also be included. When drawing up the trial balance, we're going to take each of the closing balances of the accounts above and list them out together with a column for debits and a column for credits. In the trial balance above, the total of the debits is equal to the total of the credits. And it makes sense, since we've been doing one debit and one credit for each and every transaction. Should the debit and credit totals differ in value, then it is certain that there must have been one or more accounting errors. The bookkeeper or accountant would then need to find and rectify the errors before preparing the financial statements. In spite of the above, the total of the debit balances agreeing in value with the total of the credit balances does not guarantee that there are zero errors in the accounting records. For example, the bookkeeper could have incorrectly debited the $12,000 to debtors instead of to the baking equipment account. In this situation the total of the debit balances would still be $31,500. 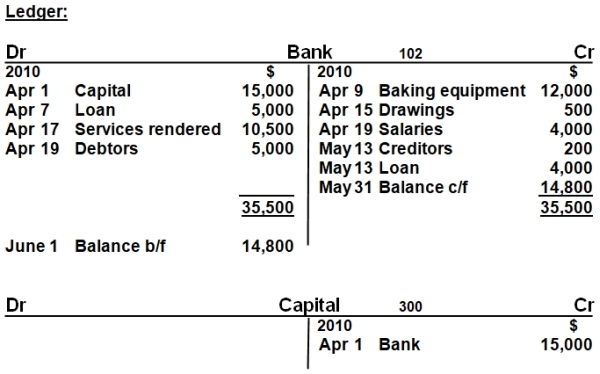 Nonetheless the trial balance is a useful tool for locating and eradicating accounting errors. 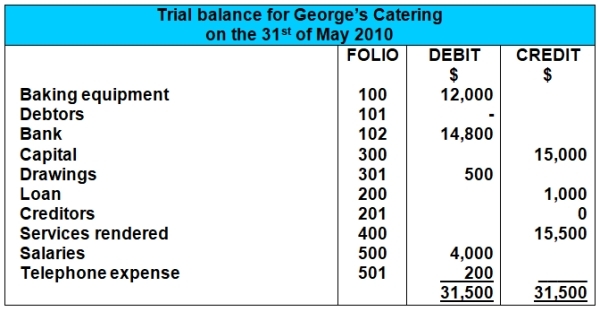 There are different terms used to describe the trial balance at different points in time. The first trial balance (before any end-of-year corrections and adjustments are made) is called the unadjusted trial balance. The next thing that happens is that any errors identified are corrected, and other adjustments are made to ensure the record-keeping is in line with accounting standards. At this point the trial balance is known as the adjusted trial balance and the financial statements are prepared. After the closing entries are done and the year is over, we call the trial balance the post-closing trial balance. Note that closing entries are not covered on this site, only in our official books - Accounting Basics: Study Guide or Complete Guide. As previously mentioned, errors are far less likely to occur with computerized accounting packages as these automatically take figures from the accounting journals to the ledger and right through to the financial statements with complete accuracy. Thus it can be argued that trial balances are more relevant for manual (hand-drawn) accounting systems, where errors can be made when transferring information through the various steps of the accounting cycle. The trial balance is less important if you use an accounting package. That's it for our lesson on What is the Trial Balance? You just completed the last of the lessons in our section on the accounting cycle. If you feel good at this point, move on to the lessons on the financial statements (accounting reports), the final step of this cycle. Q: What are some errors not affecting the trial balance?